We bake a wide selection of moist, generously sized muffins daily. Blueberry, Blueberry coffee cake, Morning glory, Lemon poppy, Cranberry Walnut, Chocolate chip Banana to name a few. Scones are a staple of breakfast in Ireland, England and Scotland. In many cases, we have found the offerings in America to be too sweet and too much like a biscuit. 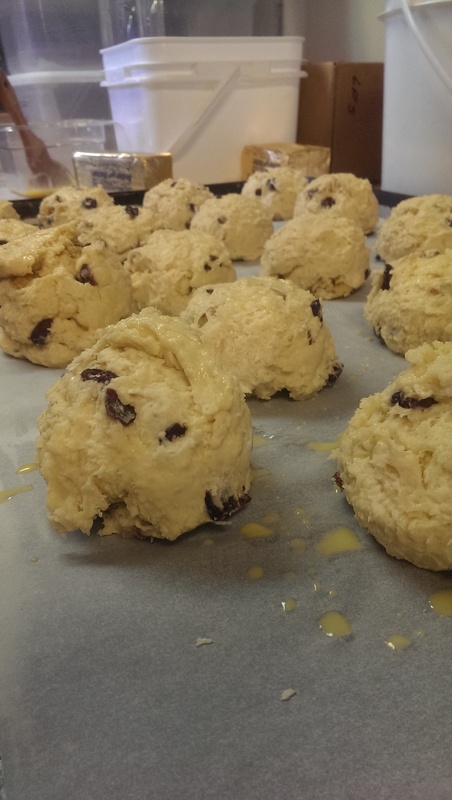 We make our Scones in several varieties including Raisin, Blueberry, Cranberry Walnut, Almond, Apricot, Cinnamon, Chocolate chip, and Multigrain. 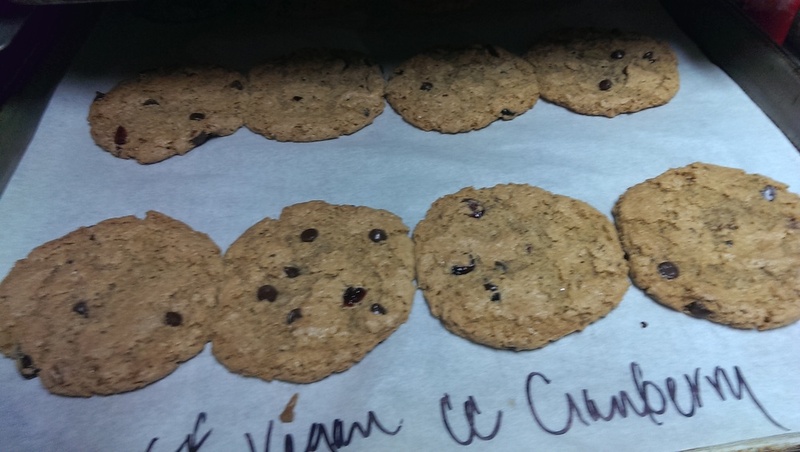 Jess sometimes mixes it up with an Almond Joy or Ginger fig. Matt also makes a gluten free and vegan offering using cane juice and flax seed meal in place of the usual eggs and sugar. The texture is a little dry and rough, with just a hint of sweetness, not too sugary. 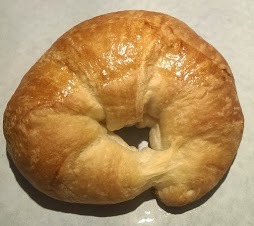 Croissants are a buttery flaky pastry that we have come to love in the US. We bake classic Plain, Chocolate filled (pane au chocolat), Raspberry and Cream cheese, and Almond filled as well as a Spinach and Feta and Ham and Swiss versions. 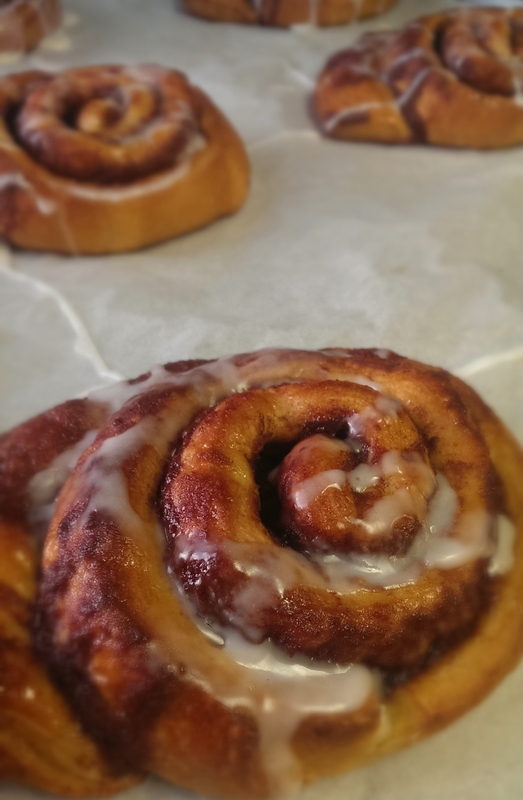 All are made with 100% grade A butter and are fresh from the oven every morning. Yum.